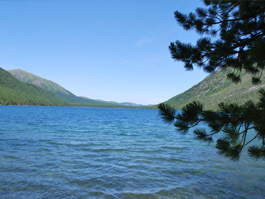 Multinsky lakes are one of the most beautiful places of the Altai region. 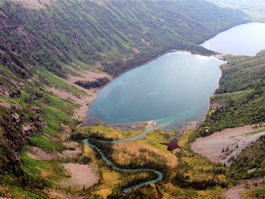 The lakes are situated on macro face of Katun edge, in the upstream of Multa river. 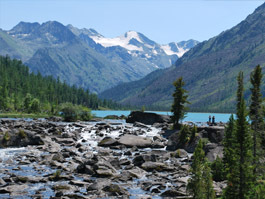 In the valley of lakes are towering snow-capped peaks which are reflected in their emerald-clear water. The lakes are extremely picturesque and attract scientists, tourists and nature amateurs by a huge variety of plant and animal worlds.